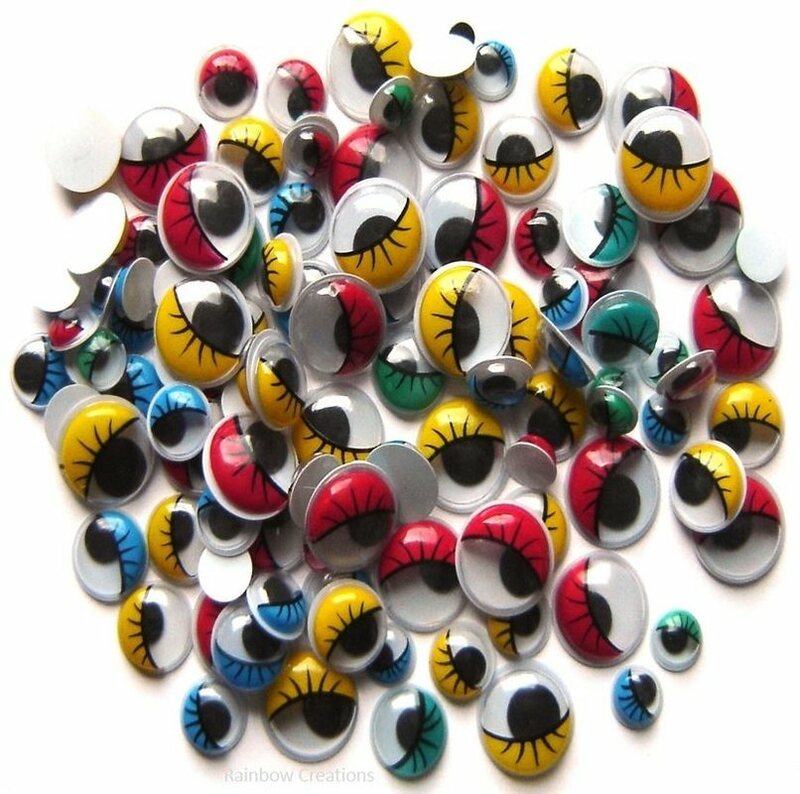 Eight sheets of fun eye stickers and fun feet stickers for children's arts and crafts. 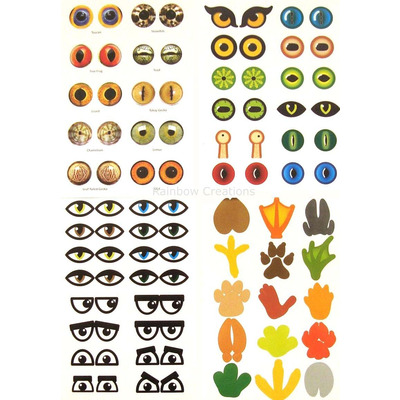 These sticker sheets contain various pairs of self stick eyes including animal eyes, funny eyes, eyes with eyelids and glasses and animal feet. 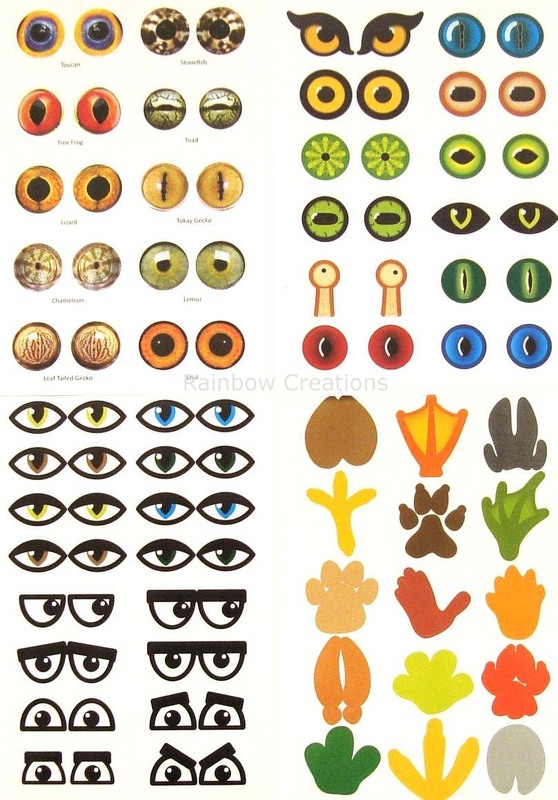 Children can have great fun creating animal characters, reptiles and monsters with these stickers. 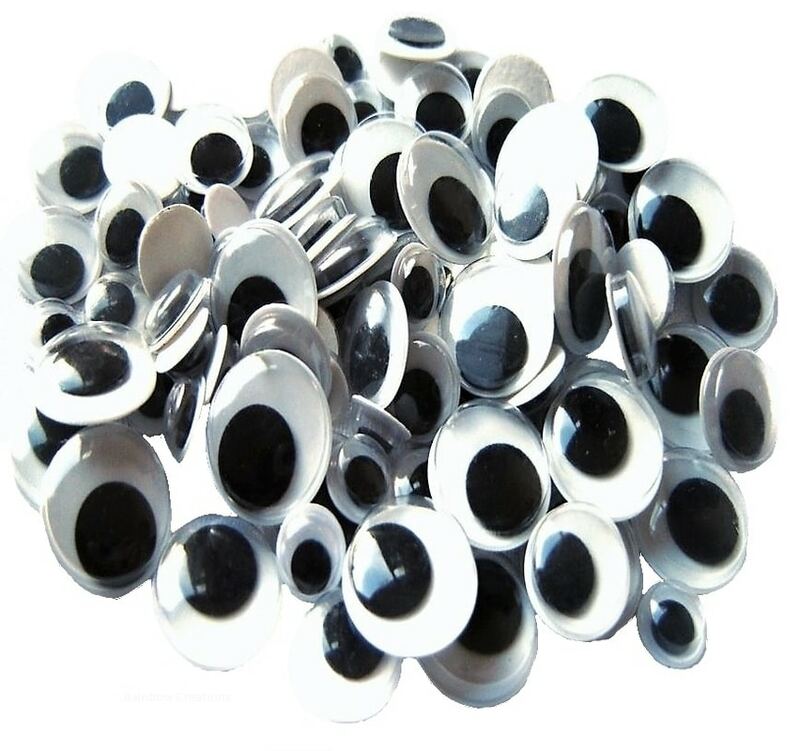 Ideal for animal projects in preschool or at school.